JBT V-GPII C91 Scanner Or Super SBB2 Key Programmer? 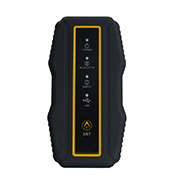 JBT V-GPII C91 Car diagnostic Scanner is nandrepair 2018 new released, as we know, there are many auto key programmer, such Super SBB, Xtool X100 or HANDY BABY Key Programmer, For an chooser, which is better? JBT V-GPII C91 scanner Or Super SBB2 key programmer?